The NHL Entry Draft is a nerve-racking experience for any prospective player. You’re not sure which round they’ll announce your name, which team will draft you, and even if you’ve experienced a taste of spotlight in your hockey career to date, there is no way to prepare yourself for the limelight that immediately follows your entrance into the league. Even Max Domi, son of former Toronto Maple Leafs player Tie Domi, who led the London Knights to their second consecutive Ontario Hockey League Championship, was a ball of nerves at this year’s draft. He had a team-high 32 points in 21 post-season games, and prior to that, scored 39 goals and 87 points in 64 games during the OHL season. He tied for first on the team in assists and plus-minus for 2012-13. 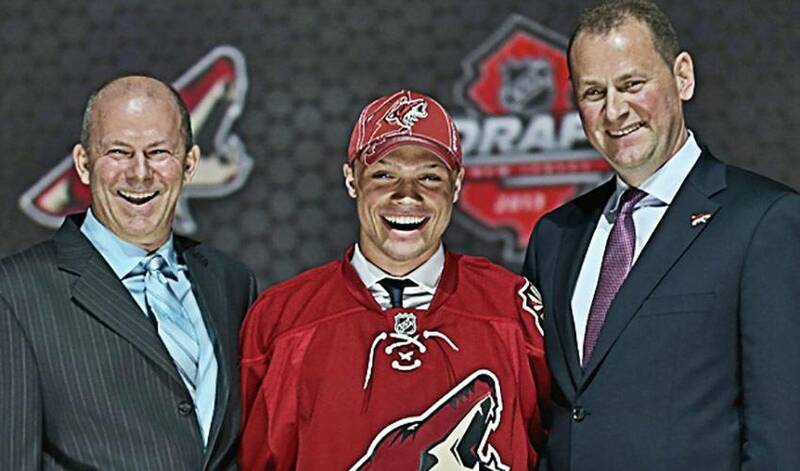 Max Domi is one of 30 players that were drafted in the first round. Domi was drafted 12th overall to the Phoenix Coyotes, his preferred team. Though his father was an NHL player, Domi had to work extra hard to make his dreams of playing professional hockey come true. Not only was he often times a target, due to his dad’s tough enforcer style on the ice, he also had to overcome and learn to live with Type I diabetes – no easy feat for anyone, let alone an elite athlete with monstrous physical demands. After his diagnosis, Domi changed his number from No. 13 to No. 16, paying homage to Hall of Famer Bobby Clarke, who also overcame diabetes and had an incredible career in hockey. Tie Domi, Max’s biggest fan, hopes for nothing less for his son. Max’s offensive creativity and knack for goal-scoring will very likely make that dream come true. We had our cameras shadow Max in the moments leading up to this year’s draft, during the event, and afterwards as he celebrated with former teammates, fellow draftees, and family. This is Max Domi’s NHL Draft experience.